Last night before bed, Karie told me that she thought Mercy had died. She had felt her move a little in the morning, but hadn’t felt anything much until after lunch. She said that before lunch, anxiety came over her like a shadow. She thought, “oh, I am not ready for this yet Lord!” As time ticks by, this event looms over us. I have not yet been able to picture what this coming day will be like. I have only our son Justus’ life to compare, and for now I picture it similar, yet different. Rylee (our 13 year old girl) thought she felt Mercy move one little time last night as she felt her momma’s belly. I pray that each of our children get to feel their little sister at least once before she passes. I text Karie yesterday and asked her to be mindful of Mercy’s movements so that each child might get that opportunity. I know how special it was to me when I felt her, and I desire that all would feel such a blessing. Thank you all for your prayers, words, and help during this time. I have been amazed at how far the news of Mercy has traveled. Karie and Rylee (after they dropped off Ali, our eldest, at drivers ed) had a date night last night for three hours or so. 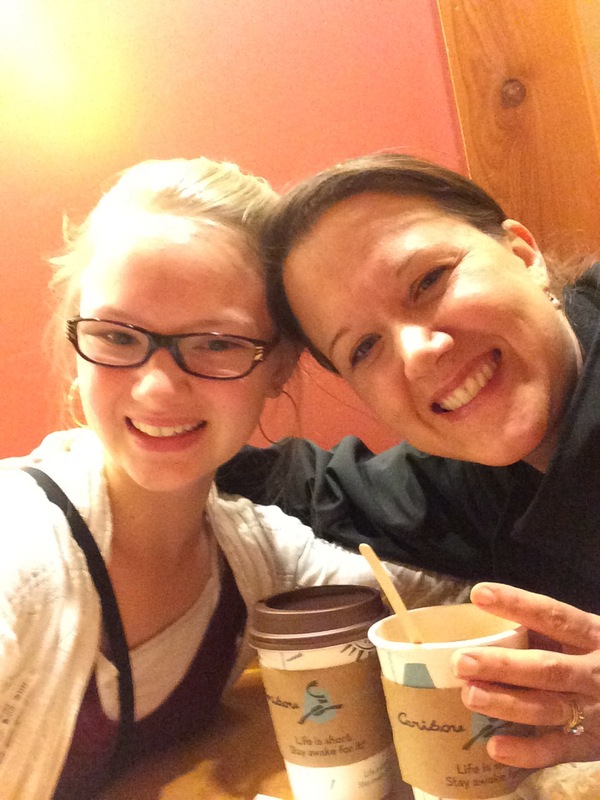 They went to the local Mall, and then to talk, laugh, and take some goofy selfies at Caribou. It was good to get the pictures they sent me while they were sippin’ at the Bou’. It was good to see Karie’s countenance lifted as life moved on just a little, and as grace moves in through the events of life. Grace needed for another day. Previous postDrawing Near With … Um … Confidence.